I can't even begin to tell you how many times I've asked my guy friends, "Do you want anything from Tokyo?" And they've said, "Yeah, bring me back a school girl." Well, you're in luck, boys. 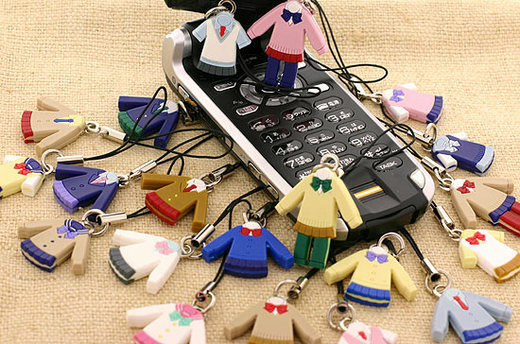 Some weirdos at Strap-ya did some research on the Top 20 most trendy, popular school girl uniforms in Japan and made them into cell phone straps. You can let your imagination run wild as to what lies beneath these rubber outfits—and since they're only 300 yen each, I guarantee I can bring you one back next time I go home. More top oufits that get school boys hot, through the link.